Registering and opening a foreign business in China is often more complex than it seems. Approvals from multiple local authorities and bureaus, strict adherence to industry specific regulations, and a considerable amount of red tape are just a few of the obstacles that need to be dealt with. It is therefore not surprising that the setup and incorporation of a company, be it a WFOE (Wholly Foreign Owned Enterprise) or a Representative Office, is usually handled by a local service firm. 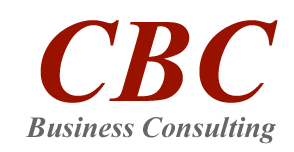 In addition, CBC offers company secretarial services as well as annual inspections and business license modification procedures.